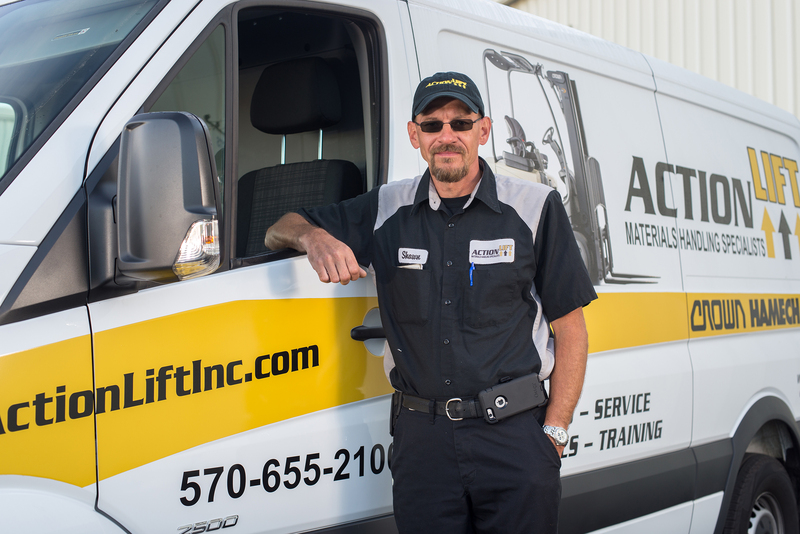 At Action Lift, we understand that every day counts in today’s competitive material-handling environment. So it’s important to work with service and parts departments that are prepared to support your forklift purchase. We match the latest technology with skilled, factory-trained service technicians and our parts department provides high-quality replacement parts at the greatest value. To maximize the performance of your forklift fleet turn to Action Lift for your parts and service needs!